We renovate pipes inside buildings quickly and easily. 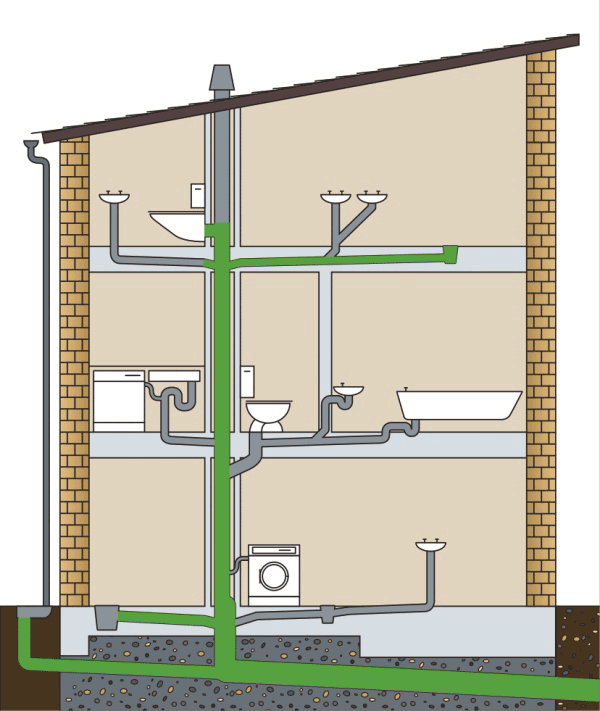 Damp walls, mould or faecal water seeping into the structure/building stock: leaking wastewater pipes in buildings often cause extensive damage. Until now, repairing these wastewater pipes has usually been time-consuming and very expensive. Our in-house renovation method allows us to repair the rain and wastewater pipes on your property efficiently; this method is suitable for almost all pipe materials and damage. A drain camera is used to precisely identify and localise damage in downpipes, supply lines and pipe unions. The applied Brawoliner® renovation system creates a completely new pipe inside the old pipe, renewing it from inside out. Our patented cleaning system ensures optimum adhesion. The in-house renovation method does not require the walls to be opened which means that there is no dust, noise or dirt. Instead, pipes are repaired quickly, sustainably and inexpensively.